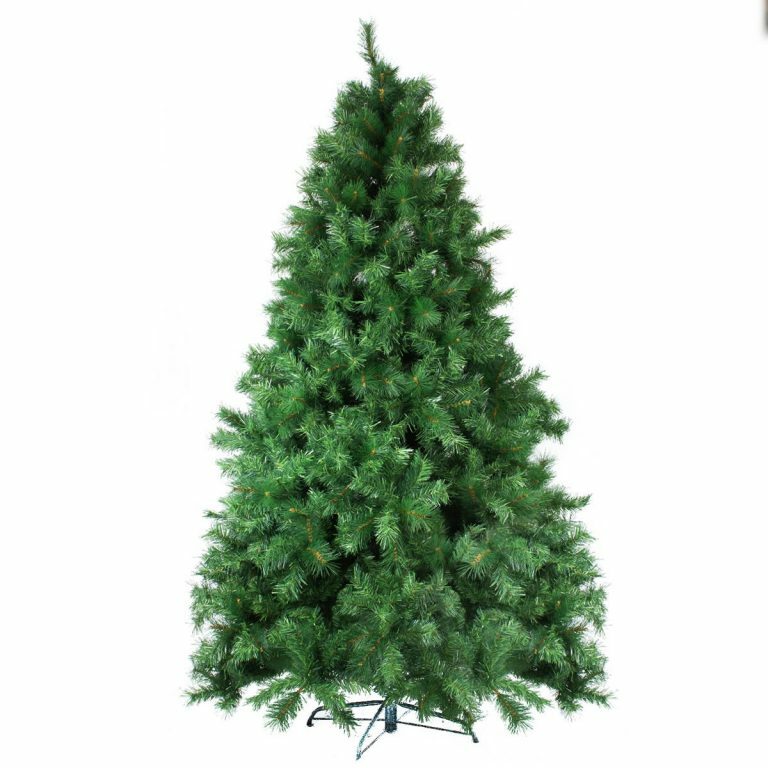 The 210cm Windsor Pine Christmas Tree is a deep green with silver highlights. 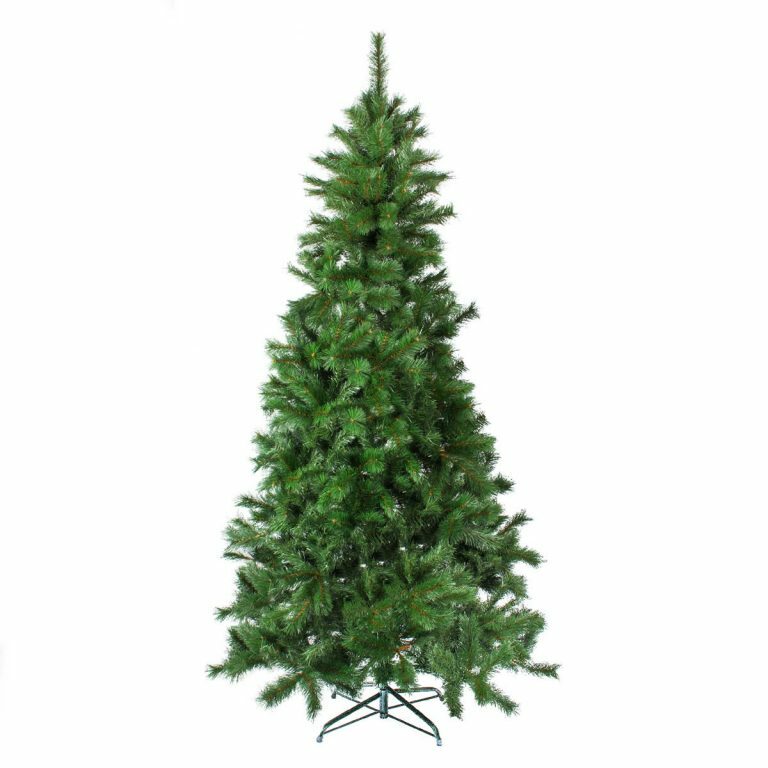 With a sturdy metal base, down-swept metal hinged branches and 1030 pencil tips, this tree will be your Christmas stalwart for years to come. 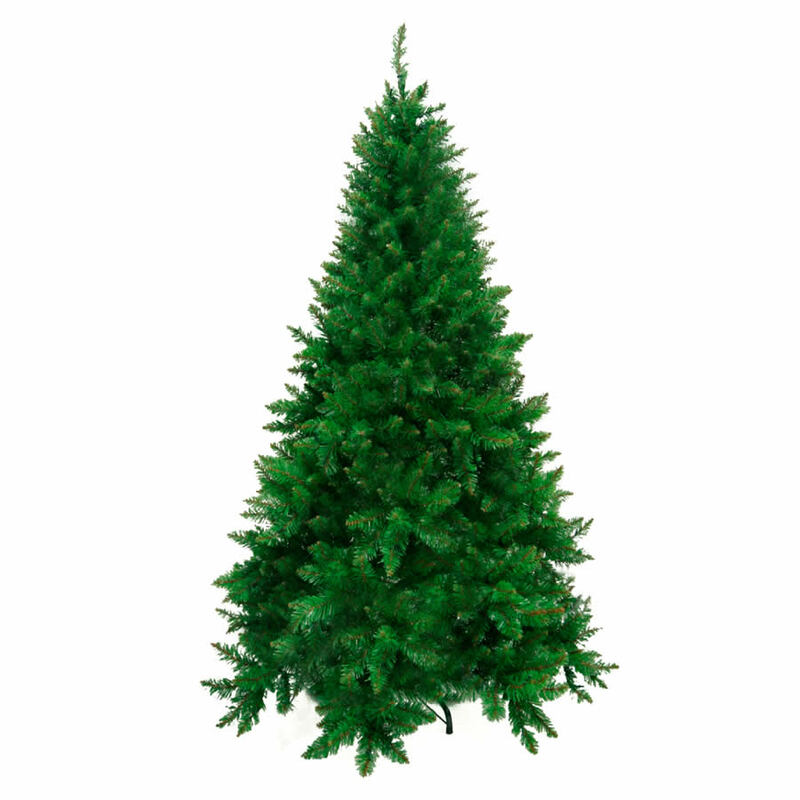 Consider your Windsor Pine a blank Christmas canvas that you can play with. Start with a rope of battery operated lights – choose from multicoloured, light blue, light green, pure white, warm white and light pink. Then you may just want to choose from our packs of single colour baubles, perhaps using combinations like silver and coffee, or red and gold, but if you prefer a ‘busier’ tree, we’ve got tinsel, pinecones, stars and bells and a range of acrylic individual decorations.